I am super excited to head back to the city this weekend for the 2016 Rock 'n' Roll Half Marathon San Francisco! I've run a lot of races in San Francisco, including the inaugural Rock 'n' Roll Half Marathon San Francisco in 2013, so I'm no stranger to San Francisco's hills and - if we're super lucky - the chilly early morning weather. I especially love when Karl the Fog rolls in and keeps the sun far, far away. Oh how I love running in San Francisco! This weekend's race is going to be a blast. It's my first time running this version of the Rock 'n' Roll Half Marathon San Francisco course and my first time running this race as a member of the #RockNBlog team. I'll be at the Expo Friday evening and in the VIP area on race day so be sure to reach out and say hi if you see me. I'm looking forward to seeing old friends and making new ones this weekend. 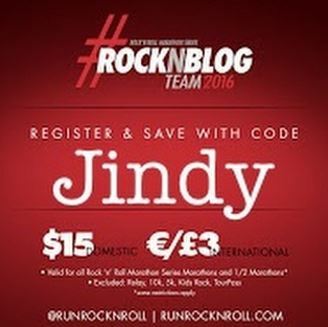 Tip: drop my name "Jindy" as your race discount code during registration for Rock 'n' Roll races to receive $15.00 off! Everything you need to know to rock San Francisco this Sunday is at the Rock 'n' Roll San Francisco Race Info Center. To help you out, I've complied a simple 5 step to-do list that will have you race ready in no time! Step 1: Figure out your race day parking situation NOW. Rock 'n' Roll has partnered with Parking Panda to help facilitate pre-paid parking. All runners that are driving must park at the finish line and take a shuttle to the start line. All the information you need regarding drop off, parking and shuttles is here. 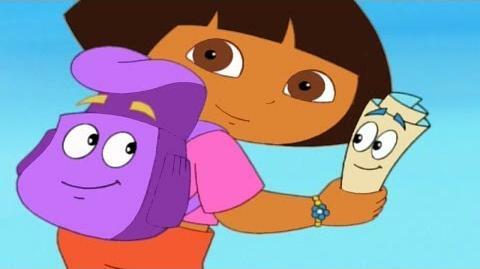 If Dora the Explorer can read a map, so can you. Step 2: Pick up your bib. Remember: you need your signed confirmation sheet and your photo ID to pick up your bib, timing chip, race tee, gear check/swag bag and VIP package info (if you signed up for VIP). Tip: At the Expo, show your ID at the "Beer Garden ID Check Booth" to be finish line beer ready at the end of the race. 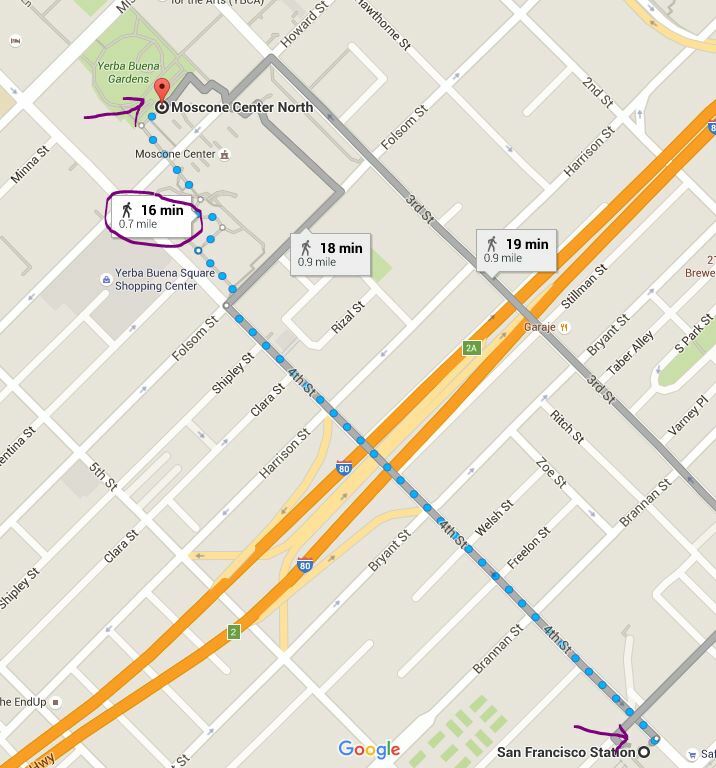 Local friends, spare yourself a massive traffic and parking headache by taking Caltrain to the Expo. (Exit at the 4th street station, walk up 4th street to Howard. Cross the street and turn right onto Howard. Moscone North is on the same side of the street as Yerba Buena Gardens.) You're a runner, that's a short walk. Step 3: Read your Race Day Participant Guide. There's important course cut-off times listed as well just general info you'll be happy you already knew. Download it onto your smartphone. If that's too much info for your brain - there's an awesome one page PDF with all the final instructions here and pictured below. Step 4: Pick out your race day outfit. Hint: It should be orange and should read "SF GIANTS". Bonus points for glitter and sparkle. Also, bring a phone that takes good photos because you're gonna be running on the Golden Gate Bridge baby! Step 5: Sign up for free runner tracking! Don't fall behind pace! Track yourself and your friends so you know when to expect them at the finish line with a cold beer. See you on the course this Sunday!